I write a monthly update about Freddie but not so much about the girls anymore, unless it's a post about all of us a family. I used to write a monthly update on the girls when I first started blogging, but I guess as they grow older, there's not so much you can write every single month. But after a few months, you do notice a lot of difference with them. Elliw, our middle, is nearly six years old now. I still can't believe my littlest baby girl will be six in March, it's crazy how fast the years go by, isn't it? Elliw's not been the easiest child to bring up, but I can say that she is the most cuddliest little girl. She absolutely loves her cuddles and ever since she was a baby she has always liked someone to be there with her. She was a toddler/young child who hated playing by herself. In fact, she would never play on her own unless Mia, her dad or myself was there in the room with her. It was quite difficult at times, especially with her huge tempers that she would have multiple times on a daily basis. However, she has suddenly grown out of her daily habits and the past year she is a totally different girl. Although some parts are still there, that is what makes her, Elliw. She wouldn't be Elliw if she didn't have her daily little moans or tantrums. But as I am a work from home Mum, I do feel lucky that I have been able to be at home watching her grow up since day one. She's such a character, a funny and lovable one too. As the years have gone by, she shows a huge imagination. She loves to role play her favourite tv shows, films and music. It's amazing to watch. Watching her grow from a little girl who didn't use her imagination much to showing it all now is so lovely. 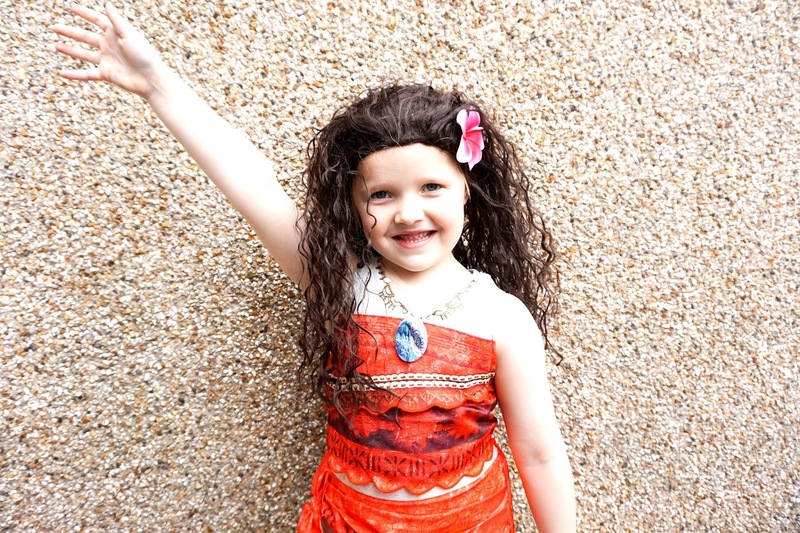 Her favourite character is Moana, and she is literally obsessed with dressing up. She will dress up every single day if she could. As World Book Day is just around the corner, it's one of her favourite days, and when I was asked by the lovely people at Vegaoo if she would like a fancy dress costume for the day, I instantly knew which costume she would love. I chose the Moana deluxe costume and a Moana Wig to add that extra touch. The minute she saw it, she fell in love and has worn it every single day since - honestly! World Book Day lands on the 1st of March this year, which is a Thursday. 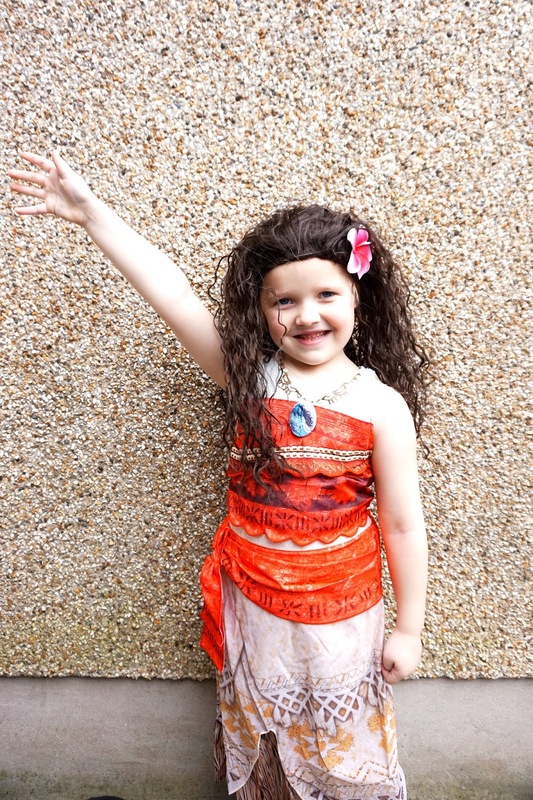 She has already planned to wear her Moana fancy dress to school that day. Being able to watch her grow each day is amazing. Watching her dancing, singing and role-playing her favourite film is such a wonderful memory. This is why I love to write these kinds of memories on my blog. It's such a lovely thing to read back a few years down the line, hopefully, with Elliw herself too. I am so proud of my littlest girl. She will always be my baby girl. What's your child's favourite character? * Thank you to Vegaoo for gifting us the fancy dress costume.